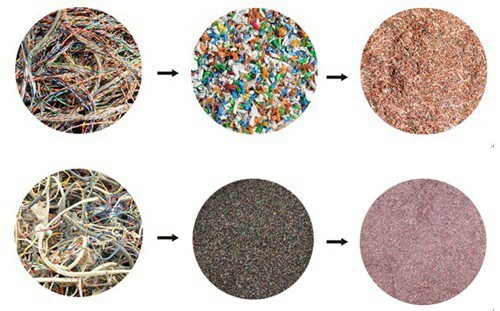 Although the cables recycling production lines manufactured by different companies are divers in structure and models, generally speaking, it can be divided into two types: dry type cable recycling machine and wet type cable recycling machine. Cable recycling machine is suitable for processing all kinds of cables including waste auto circuit wire lines and waste communication cables and the cables that cannot be processed by wire-stripping machine. The cables can be crushed and separated by this machine with high voltage static electricity. Fote copper wire recycling machine can completely separate copper and plastic and realize comprehensive utilization, so that it has high economic benefits and no dust or secondary pollution. 1. 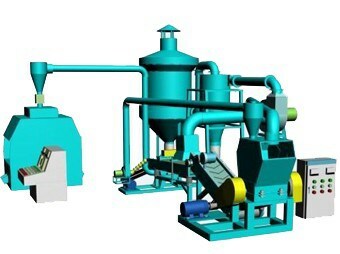 Fote cables recycling production line adopts the three-in-one dust collection device which include three levels of dust collecting process: cyclone dust collection, bag collection and air cleaner, thus effectively solve the problem of powder dust pollution. 2. 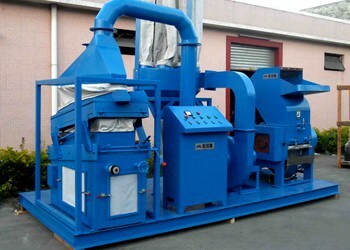 This copper wire recycling machine adopts the technological process of using both dry and wet type crushing to make the raw materials such as waste cables and waste electric wires become non-metallic mixture of metal and plastic after crushing and grinding and using high voltage static electricity separator to separate the metal and the plastic. 3. The material feeding is completed for one time with the structure of multiple machines, equipped with automatic conveying, sound insulation technology and cooling system, the separation and recycling of metal and plastic can be achieved. 4. 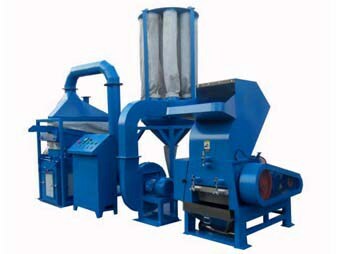 This cable recycling machine has the features of low noise, big yield and strong innovation. It can maintain the original quality of the copper and at the same time, recycle the plastic, thus creating huge economic benefits. 5. The equipment used in this production is highly innovative, and the configuration is advanced and reasonable.